There are some who believe that Israel should form a committee to draft a Constitution which then should be voted upon by the citizenry. There are those who call for a simple change in how appointments are made to positions such as Judges, Attorney General, Police Commanders, Military Commanders and other political and justice and enforcement positions. There are many who are calling for Israel to annex all or parts of Judea and Samaria. Some are demanding that the Palestinian Authority be dissolved and its leadership and most of the security forces be deported. There are some calling for the office of Prime Minister to be determined by direct elections instead of by whichever political party receives the most number of seats and forms the coalition as they claim this results in granting excessive power to the Prime Minister as his party also controls the parliament and can prevent legislation from being considered at his whim. There are those demanding that the IDF (Israel Defense Forces) be more religious soldier friendly touting the infractions being imposed upon far too many religious soldiers which force them to choose between a good performance review and their religious ethics as often their training or activities present conditions which break Halachic Laws, and the military command is fully aware of these difficulties and are using them to drive religious soldiers from the ranks of the military and particularly from the officer corps. When religious officers reach the rank of Major they often face opposition and malice intended to drive them from the service and they face selected distrust which robs them of any possibility for further promotions as the Central Command seeks to retain their secular purity. All of these disparate forms of revolutions are simply pieces of the problems which could all be remedied through the efforts of one group of people from within the Israeli population; the Rabbinate. The first step needed would be the unification of the position of Chief Rabbi. I am far from the sole Israeli Jew who has one parent who is Ashkenazi and the other who is Sephardi. With such a divide, while leaving the rule that my Father automatically is used as the determinative factor, despite in my case that my Mother was more involved in my religious education; such individuals will often have a clash if they marry opposite their father, be he Ashkenazi or Sephardi, with a wife knowledgeable of the opposite set of rules. An example comes next week during Pesach concerning whether or not one may have rice, for example. Still, with the number of intermarriage between Ashkenazi and Sephardi youth, the number of Jews who will not look at Judaism as much as being bipolar as Ashkenazi and Sephardi. Making such an alteration will require unifying Judaism such that there is a single prayerbook, a single set service, a single Kashrut standard which is accepted by all the now disparate Rabbinate factions. This will require many of our leading and most respected Rabbis to come together and reach an agreement which will make all of them relatively and equally uncomfortable with the final set of rules, prayers, prayer services, Hebrew language and a merging of Jewish history such that the story of all the branches are interwoven into a single story. 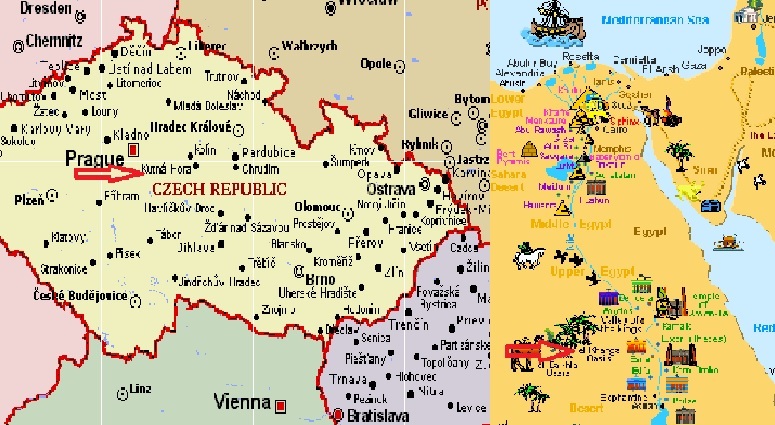 This will leave everybody upset with the results and pointing to some fact here or there bemoaning that such an important event which occurred in Kutná Hora in what is now the Czech Republic or el Kharga Oasis in Ancient Egypt has been omitted from the combined histories. Yes, we picked these locations completely at random and any similarities to events or descriptions are purely coincidental. If the numbers of complaints are relatively equal from all angles, then the stories and other merging events are likely being performed correctly and with careful considerations. These are events which will be happening behind the scenes except for the merging of the positions of Chief Rabbinates into one office covering every Jew making a giant step towards the unification of Judaism at least within Israel. All of these steps are in preparation for making a change in Israel which will take a great effort from the entire Rabbinate, each and every member from every faction working often in conjunction with one another for a maximum effect. Israel is in need of a spiritual awakening. She has been becoming a more religious nation with a greater percentage of the population attending daily services and living Torah observant lives. There are those who are returning into the Torah observance whose lives sometimes slip but are making strides. Meanwhile others are becoming Torah observant for the first time in their lives or the first time in years after leaving such a lifestyle either while in the military, university, workforce or simply having left their parents’ house. The challenge for such individuals vary with some facing having to learn for the first time a wholly new way of living and sometimes struggling in the process. These people and the secular Jewish population require more assistance than most with encouragements and gentle assistances. They will require education and reinforcement until the religious life becomes almost, if not completely natural. The greatest challenge will be introducing the secular Jewish population to a religious life in a natural and unthreatening way. What such efforts would require, you ask. It would need for the Rabbinate, every Rabbi, to spend time being more public in their lives and leading a life which invites people to follow their examples and piques their interests. They also will be required to be approachable and open to people and affable such that people will feel comfortable seeking them out for information and guidance. This will also require Torah observant practices to be instituted as to what would be considered appropriate and inappropriate activities, actions, practices and situations for members of the general Rabbinate to engage in. Many in the Rabbinate will require further education on the acceptable and preferred means for approaching people and guiding them back to their faith. Some in the Rabbinate may be found inarticulate or otherwise unable to perform adequately and will need assignments in other areas perhaps teaching or administrative. The entire Rabbinate will need be brought under a single administrative effort. 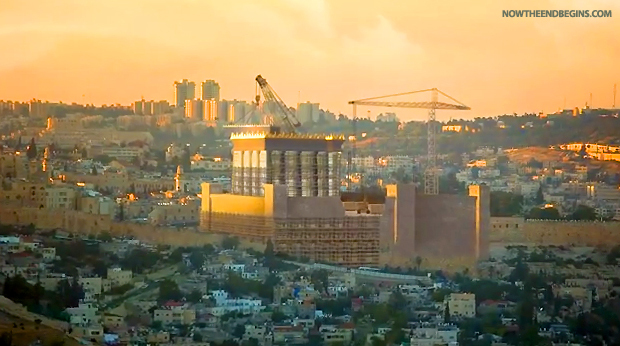 Temple Institute concept for what building the Third Temple in modern day Jerusalem would appear like from a distance with modern buildings of Jerusalem in the background. May their vision and this concept figure become fact and fulfill our desires for unity and a single Temple and House for Hashem in our midst. May this dream be fulfilled before the next Ninth of Av so our lament will be lessened. There will also be a need that the Oral Law be reinstituted as an Oral Code which will be written but also updated, altered and mediated periodically with the Rabbinate choosing from amongst their ranks those they consider best suited to make wise and meaningful changes at set intervals, perhaps every three of five years. Once all these programs are in place and everything arranged neatly and actually functioning, then the people of Israel can consider returning to life as intended by Torah with the adjustments and changes initiated under the new Oral Law. There are things which will require large alterations such as the sacrifices as Israel is no longer a sleepy little agrarian society as it was three millennia ago. Instead of a King we will likely maintain an elected democratic and possibly even Parliamentary form of governance but with the single alteration that there will be a higher office than Prime Minister or President, that of the Cohen Gadol (Heb.כהן גדול), the head priest. Once these changes have been accomplished there will be one last item which will have become unavoidable by this point, the rebuilding of the Temple, the Beit HaMikdash (Hebrew: בֵּית־הַמִּקְדָּשׁ‎) in Jerusalem. Long before we complete these changes the annexation of all of Judea and Samaria will have long been settled and completed and the world will have come to accept it as fait accompli. Should this transformation take place and Israel return to being the central home of the Israelite Jewish People living a Torah observant lifestyle, by and large, this will solve many of the problems currently faced by Israel and odd as it may at first appear, it will also make the world a better place with time. First we would like to thank those American Jews and Christians who donated to Israeli funds and other interests. We appreciate your visiting and spending your tourist dollars here. We do appreciate the fact that your advice is well-intended and that you only mean for Israel to be the best that is possible. We understand that your desires are for Israel to be the moral example for the world and for us to act in such a manner that everybody will love us. We also understand when you complain that our actions reflect upon you and often appear to make your lives difficult. We understand that sometimes you cannot find any way of defending some of the actions Israel uses and the methods by which we seek to preserve Israel’s existence. We are aware of why you are so furious over Israel’s new travel ban on those who view Israel as an “apartheid” state; oppose the Israeli “settlement” of the Jewish homeland; and fight to isolate and de-legitimize Israel by boycotting Israeli academics, speakers, leaders, and products. We understand that you view this in the same light as Trump’s temporary immigration ban on merely seven Arab states where vetting those arriving from these places is next to impossible. We understand that you feel you would be a hypocrite should you so oppose Trumps actions and simply allow with a wink and a nod Israel to act similarly. We even understand those who have threatened to stop contributing to Israeli funds unless we act properly. Well, allow us to reply, thanks, but no thanks. Keep your monies if that is your desire and please end your endless preaching and demanding that Israel act such that you are comfortable with our actions. Contrary to your opinion, Israel is not around for you to wear on your bracelet as if it were a charm which you can display to your friends and say see how nicely they act always forgiving every slight and never ever taking a hard line against those who would kill every Israeli if only they had the weapons with which to do so. See how they try so hard to diplomatically resolve their problems with those who are launching rockets at their children’s kindergarten and fire rockets timed with the start and end of the school day. Aren’t the Israelis just the most liberal and caring people always taking in whatever refugees appear on their border even when many of them only come to commit heinous acts of terror and act belligerently, especially to the Israeli women and the elderly. This is not going to happen and you are going to have to just settle for the fact that Israel is a nation like every other nation in that sometimes it will need to act in ways which possibly the majority of the world, especially when it is Israel acting so, will go into an uproar denouncing Israel and those doing so might include you or those you know. Sometimes you are not going to be able to defend Israeli actions to your leftist friends who love to point out how Israel is just as bad as every other nation. We know that such is a lie and those making those claims would demand Israel commit suicide and still would complain we were not giving enough. That is just too bad because Israel does act and plan to remain a viable nation able to defend her borders. This requires that these borders are defendable in the first place. That means that we are not going to surrender everything the world would demand of us. We gave away Gaza and that resulted in a disaster yet the world immediately pocketed that generous act of faith and immediately demanded we surrender Judea and Samaria to the same people whose last gift resulted in Hamastan on our southern border and a menace for Egypt in the Sinai Peninsula. Were we to repeat that mistake and the same happen in Judea and Samaria these very same people from the United Nations, European Union and nations around the world would demand we give away the Negev next as proof we wish to get along with the rest of the world. Well, if suicide is what is required to get along with the rest of the world, guess we will not be getting along and you will have to live with these facts such that we can live period. There appears to be a growing existence particularly in the United States believing that Israel must run every decision past a select group of important people who are far more knowledgeable when it comes to policies and what would best serve their desires which Israel should be required to commit to such that they will feel proud to be considered supporters. Should Israel disappoint them, then the Israeli government should be replaced and these same self-serving people should be the final arbiters as to who should run the nation. Those with whom they disagree should be relegated into the minority and only those who are amongst the approved group of left leaning, two-state supporting, anti-settlement, secular, anti-orthodox politicians who would feel comfortable and are acceptable to the leftist wing of the Democrat Party should be permitted to run Israel. Well, that is not about to happen. Israel is rapidly becoming more religious and more Zionist than any of the average Democrat Party leadership could ever be if their recent convention and choices for leadership are any indication of their leanings. Any political groups which find leadership such as Democrat Party National Committee Chair Tom Perez and Deputy Chair Keith Ellison, both of whom have a record of anti-Israel activity and advocacy, are not possible allies of Israel and should not have any influence over Israeli political or military decisions. Those who would support allowing a Women’s March to be coordinated by pro-Palestinian, anti-Israeli Linda Sarsour and convicted Palestinian terrorist Rasmea Odeh are not capable of also claiming to be supportive of Israel. Support of Rasmea Odeh and believing her story that she was innocent of the terror attack bombing of a supermarket which murdered two young Israelis, twenty-one year old Leon Kanner and twenty-two year old Eddie Joffe, and injured nine others because her confession was given while in the custody of the Israeli authorities disqualifies them as being a supporter of Israel. Those who believe her claims of innocence and that she was sexually tortured as was her father for forty-five days before she confessed to her part in the terror attack has beliefs about Israelis which belie their claims of support for Israel. Yet these are often the people who scream the loudest accusing Israel of improper activities and then plead that Israel should be required to seek their approval before taking any actions political, military or other security actions. They are also the most shocked and astounded that Israel would take precautions without conferring first with their betters in the United States, particularly their betters in the leftist organizations such as Jews for Peace, Rabbis for Peace, B’Tselem, J Street and numerous other leftist, post-Zionist radical groups. Much to the horror of these leftist detractors of Israel, the majority of the Israeli population does not agree with their demands that Israel sacrifice even further because peace is just one more sacrifice away, just as they claimed before Israel made the last sacrifice which they claimed that this time it would be the last sacrifice, not like the sacrifice before that which was also to be the last sacrifice as was the one before and the one before and that has been the story for the past twenty-plus years of Israeli final sacrifices for peace. After the Gaza debacle, the Israeli public completely has decided that they see real willingness and a different attitude from those with whom Israel is presumably supposed to be making peace. Mahmoud Abbas has refused to even meet with the Israelis; yet the world demands that Israel continue making sacrifices though the last two sacrifices, if not more, have not been returned and instead have been rebuked and met with claims that whatever sacrifice Israel made was insufficient and until and unless Israel is ready to fall on their sword, then nothing less than suicidal retreats will suffice. Those who claim that such sacrifices are not out of the reasonable sphere are not friends of Israel and are simply seeking to make points as being the greater leftist making the greater demands for Israeli sacrifice than the next leftist. Israel cannot meet the demands from every corner as doing so would be the end of the Jewish State. Israel is not going to commit to being suicidal and will act in the way best suited for continued health and existence of the Jewish State and will refuse those ridiculous demands of the United Nations, European Union, and others whose demands are of a similar nature. Now to get down to the reality and truth of the matter which may be painful for some but, for the most honest, these revelations will come as no surprise as they have known that their views have drifted further and further left and with that drift so have their demands of Israel in the face of the Islamic escalating animosity and belligerence towards the Western World in general and Israel in particular, even more so than the United States. Israel sacrificed in making the Oslo Accords after Yasser Arafat duped the world into believing he had reformed from his terrorist days which included the attempted overthrow of the government in Jordan, the eventual weakening and Islamification of Lebanon and the start of the Lebanon Civil War and formation of Hezballah through his actions. Even after the Second Intifada about which came proof that it had been planned even before Arafat went to hold talks with Israel with President Clinton at Camp David and then in Paris where he already planned the violence such that he could blame it on Israel for not surrendering completely at the negotiations. 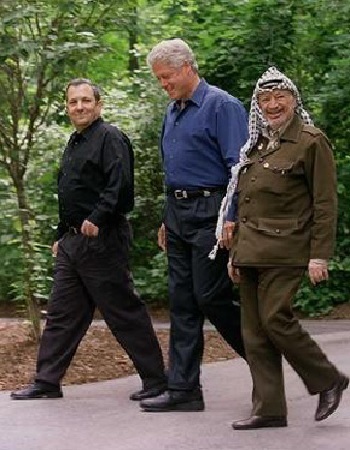 What Arafat had not planned on was that after he gave President Clinton his word that he would accept a set of terms he deemed beyond Israeli comfort levels that Prime Minister Ehud Barak would agree to his demands for close to ninety-five percent of the West Bank, land swaps, and half of Jerusalem in order to make peace. The next morning when President Clinton planned on finalizing the deal and collecting signatures, Yasser Arafat stormed from the meeting with Secretary of State Madeline Albright chasing him down the hall to no avail. Israel has made concession and sacrifice one after another with nothing to show for it other than the world expecting more from Israel to the point of demanding Israel make sacrifices simply for the sake of having Israel sacrifice with nothing offered in return. This led to the Gaza giveaway where all of Gaza was surrendered by Israel, over eight-thousand Jewish lives turned upside-down being ripped from their homes, their livelihoods often destroyed, their greenhouses turned over to the Arabs who tore them apart to make rockets and launchers, and then soon thereafter the Palestinian Authority surrendered the Gaza Strip over to Hamas, Islamic Jihad and giving a beachhead potentially to Iran on the Israeli southern border. Since signing onto the Oslo Accords where Israel was promised to retain Area C and all of Jerusalem and the Palestinian Authority was granted semi-autonomy over Area A which would lead to their being given Area A as the central lands for their state while Area B would be mutually governed and deliberations would decide where the eventual border would stand to the current situation where the world is demanding that the Arabs be given all of Judea and Samaria, half of Jerusalem and that Israel accept many hundreds of thousand Arab refugees and there are those who demand Israel accept millions of Arab refugees and that all of Jerusalem resulting in not just a single new Arab state but two new Arab states and the death of Israel and likely the extermination of another six-million Jews as the world would again refuse to permit them to emigrate to their shores and to relative safety. This is why Israel can no longer simply bow to every demand and whim which passes for the newest idea which will bring peace and instead decide what will allow Israel to keep peace through sufficient strength and control of strategically significant positions. These vital points include potentially all of Judea and Samaria as the Palestinian Arab population becomes virulently anti-Semitic and more militarized to the point they are becoming a threat to Israel’s continued existence. This is the reality and as things worsen it will become even more of a necessity that Israel reestablish complete control over all of Judea and Samaria; and if that should also require the removal of the Arabs which are known to be militantly anti-Israel and anti-Semitic, then that is what will have to be. The current government would never likely permit such an eventuality, but that does not mean that such would not become necessary and that a future government would remain so intimidated by the world’s leftist largely in Europe and the United States. The threat that Israel will be hated if it does not comply with the next round of demands no longer frightens the Israeli population as they have learned that being hated is not necessarily the worst of all things, ceasing to have a defendable border and a safe place in which to live is far worse and if being hated becomes the price for survival, we will take survival, thank you so very much. We understand and have learned how easy it is for others, even Jews who claim to be our fiercest supporters, to demand that Israel surrender to her enemies and how doing so can make these people feel so superior and good about themselves and how it allows them to claim they are such great supporters of a peaceful solution to the Palestinian situation and how they are the most compassionate. We also are learning how to simply say, “No!” And when “No!” does not suffice, then how about we say, well, let us say we say, “No!” even louder and possibly with a few superlatives added to the mix. And when that fails, as our saying “No” always has, then we will just have to let our actions be our statement, and that we are sure will suffice when that hard day arrives. The problem is the more the world demands the indefensible of Israel the more they make peace impossible because the Arab world stands assured that the rest of the world will hand them the Jews and not even blink when they slaughter the Jews by the millions. They observed the world’s lack of concern during World War II and learned that the world does not care if there are those who wish to murder Jews. They also learned that the world does not much care who is being murdered as long as the murdered are a minority who is not one of them and that includes Yazidi, Kurds, Roma and close to any other group which is too small to defend themselves or cause the rest of the world to care. 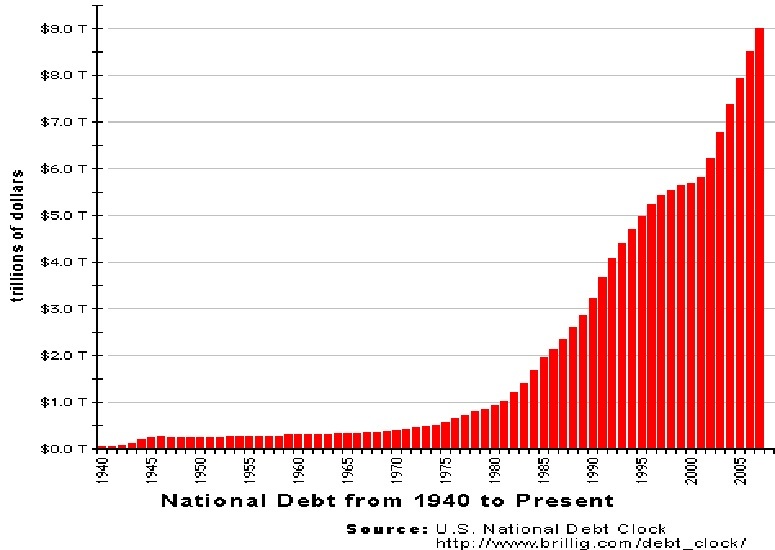 Even nations do not always get a response when they are gobbled up; just ask Czechoslovakia, currently Slovakia and the Czech Republic which probably means there are two nations which can be swallowed without the world getting even the slightest indigestion as they have not learned from history. One last warning should go out to all the Balkan nations, the smaller nations at the eastern end of Europe closest to the Russian border and the countries of Southeast Asia near China (which is all except India); the world will not care when larger entities swallow you whole or even wholesale because their only concern is are they still feeling safe. It is only when the major nations, which the world has fewer of these every year as now nations such as Spain, Romania, Syria, Yemen and by now even Kuwait are no longer worth going to war over. Should Iran be the nation taking one or more of these nations, not to include Saudi Arabia, and already have tested large nuclear weapons proven to be deliverable by their displayed ICBM capability, then many might complain and call on the United Nations, but none would do much if anything. Thus, any idea that one could expect others to come to the aid of Israel is ludicrous and thus Israel would be left hanging to fend for herself? The world is not getting safer by the hour but far more volatile and dangerous, so please do not fault us for noticing and acting accordingly. You want to hate us, and we would rather you have us to hate than you to have once loved us and now hate our having passed and fallen.